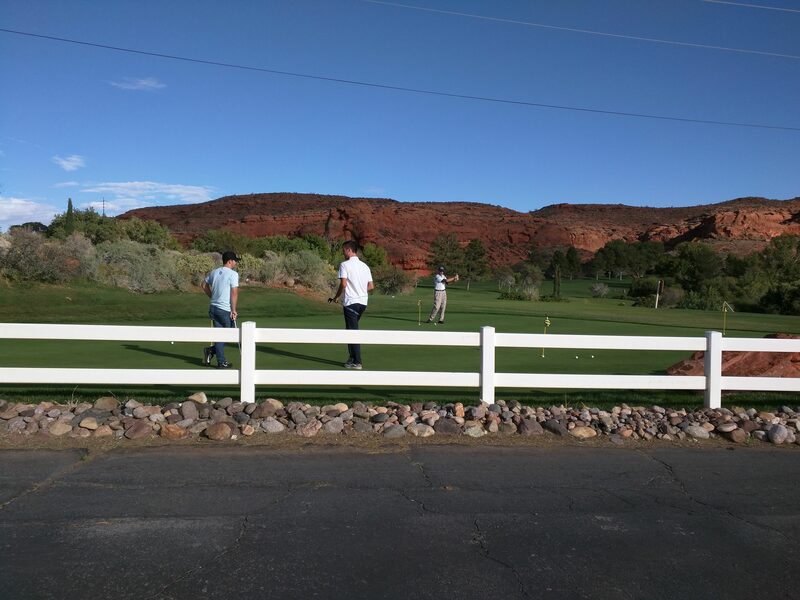 ST. GEORGE — The golf course that helped put St. George on the map as a recreation destination will soon sport a new clubhouse, replacing an inadequate, half-century-old, decrepit building. 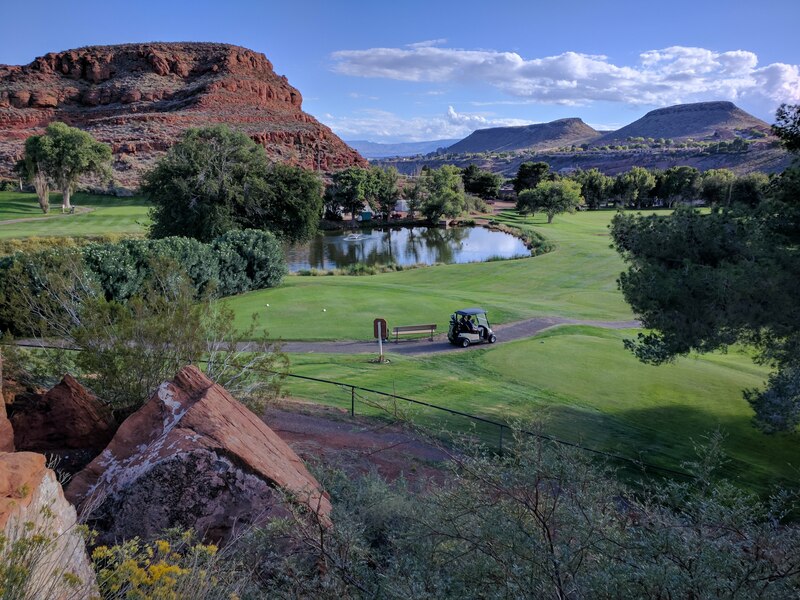 During a public meeting Thursday, the St. George City Council approved a bid to begin construction on the new clubhouse for the city-owned Dixie Red Hills Golf Course. The new clubhouse, slated to begin construction Nov. 12 next to the existing clubhouse, will be a much larger building with new restaurant facilities, a lounge area and lots of extra restroom space. The design includes an overhanging deck for spectators. “It’s simply a larger and nicer facility,” Mortensen said. The old building currently in use is not up to code, has some safety issues and is slated for demolition once the new one is built, Mortensen said. One of the reasons it took so long to get the project underway was cost consideration. With an original budget of approximately $700,000, the city couldn’t secure a bid anywhere near that amount. The bid for construction approved Thursday is in the amount of $879,461, over $170,000 more than was originally budgeted. With additional contingency and construction fees, the projected total cost is $920,000. City officials say they plan to make up the difference during a budget opening in January 2019. 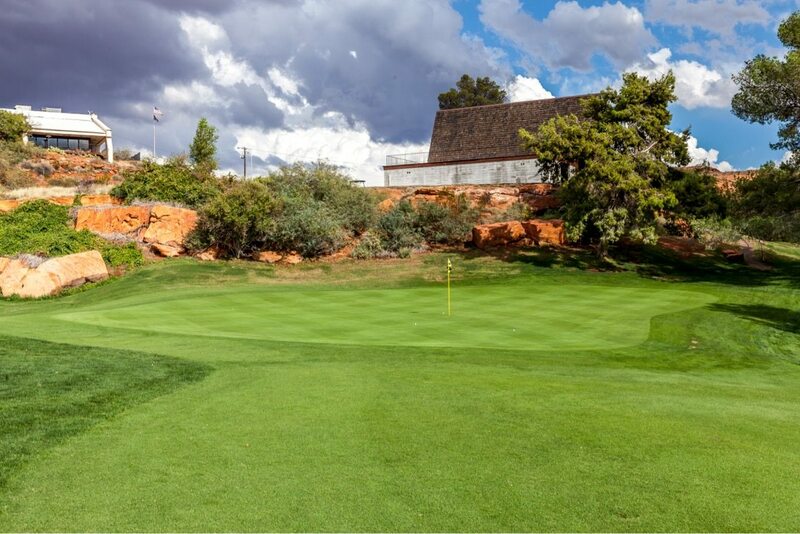 Mortensen noted that the 9-hole golf course has a long history in Southern Utah. The project will be undertaken by St. George-based Doug Hunt Construction. Plans for the new building were designed by Jeff Mathis, an architect with MRW Design Associates. “We’re excited to see this one go up just like everyone else,” Mathis said. The golf course will remain open during construction, and additional parking will be available at the adjacent Elks Lodge. Construction is expected to be completed in May. “It’s pretty critical that we get this moving because of the trade tariffs on steel,” Mortensen said, adding that it will be a priority for the city to start the project on schedule in November. Cool !, more stuff for rich guys ! They can hang out now in their brand new million dollar club house ! Nope. Dixie Red Hill’s is a nice little 9 hole course for regular folks. The kind who are modestly retired, or who work for a living but can manage to find 90 minutes to two hours to play a reasonably priced 9 holes. I would be very surprised if it isn’t the most popular course in town for just that reason. The current building is actually falling apart. The new building will cost much less than the inevitable lawsuit by an injured patron in the old one.